Maurice Woodworth was a set dresser/on-set dresser for 68 episodes of Battlestar Galactica. 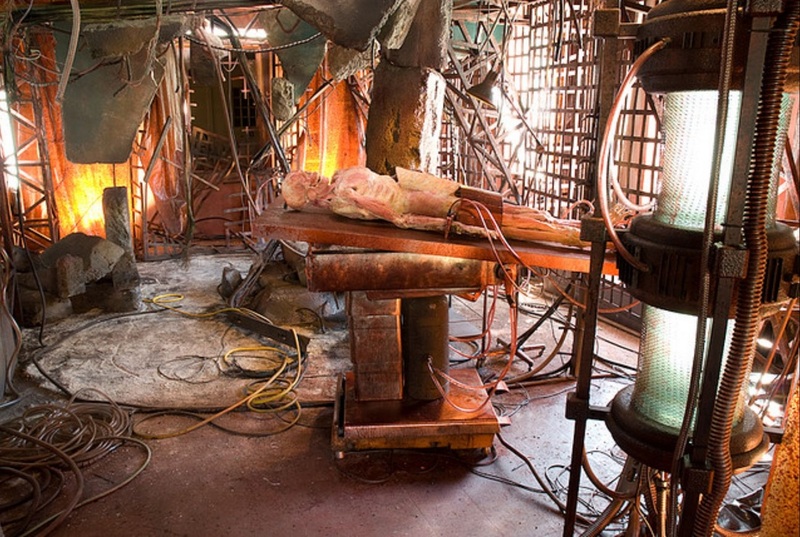 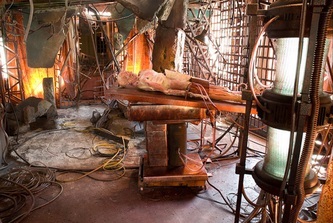 Adama's books and knickknacks were not haphazardly strewn about his quarters; a crew of artists carefully designed the atmosphere of each space occupied by the characters and maintained continuity throughout the run of the series. 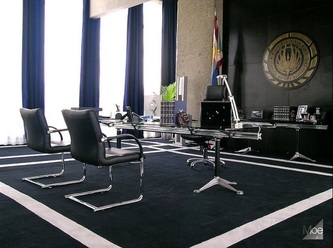 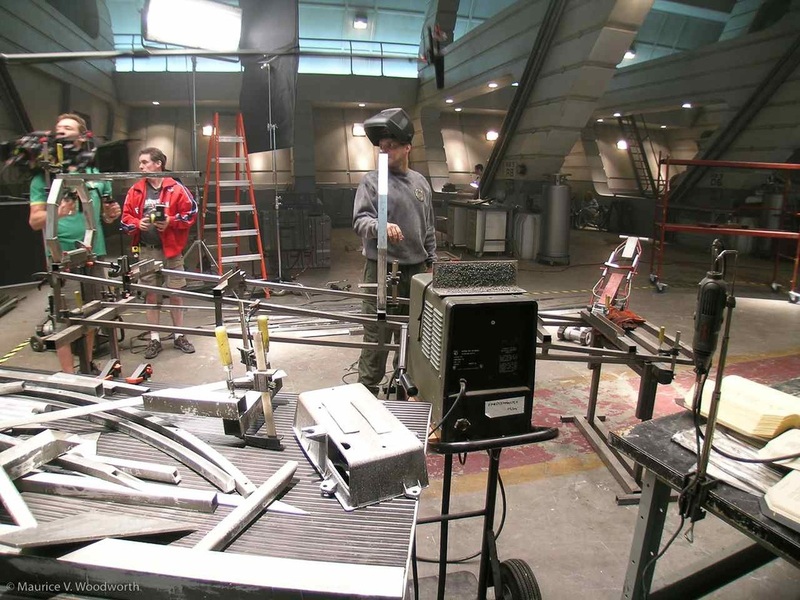 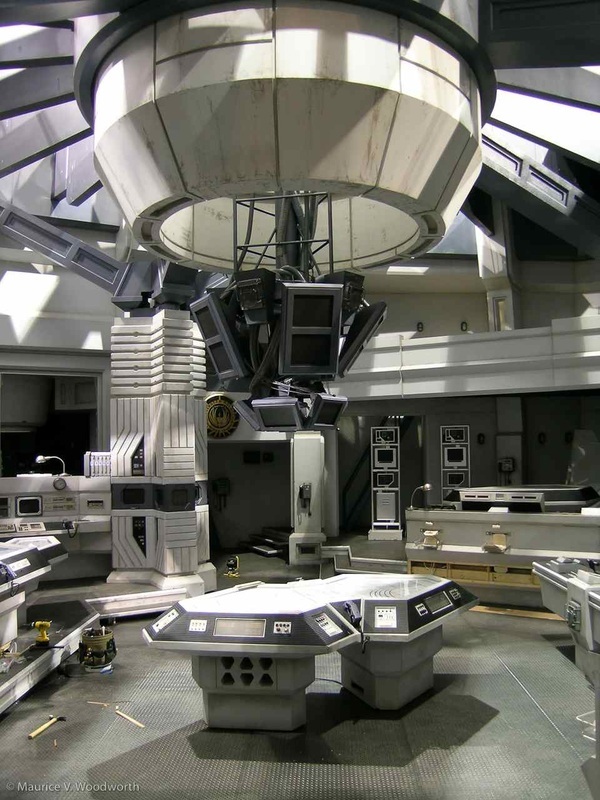 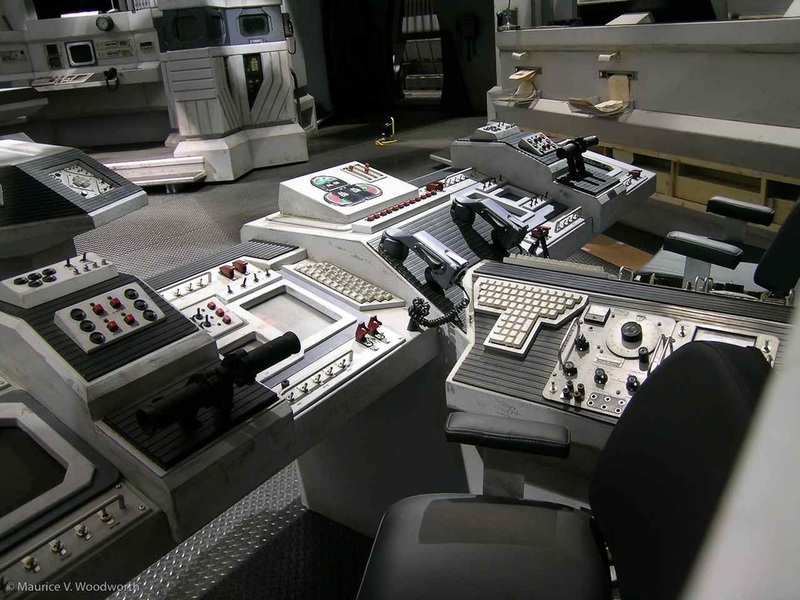 The photos Maurice shared with us showcase the amazing level of detail and care applied to the various sets and locations for Battlestar Galactica. 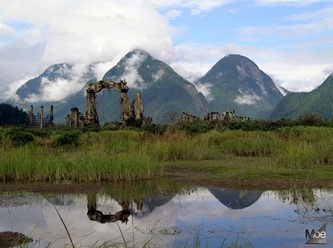 All photos on this page, including the header, are copyright Maurice Woodworth. 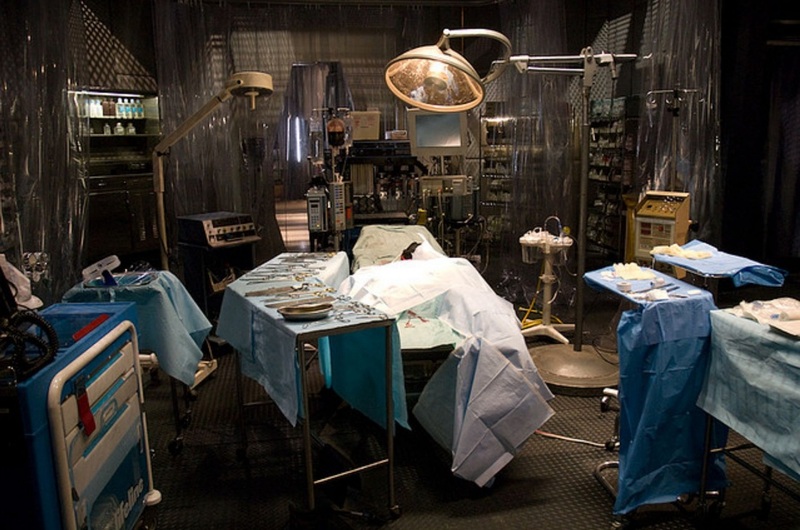 They are not to be reused without his written permission. Ronald D. Moore's new brand of 'naturalistic' science fiction required a universe that was other worldly, yet familiar. 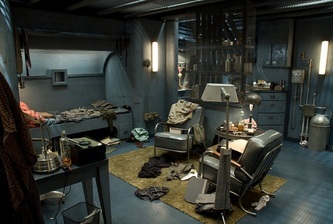 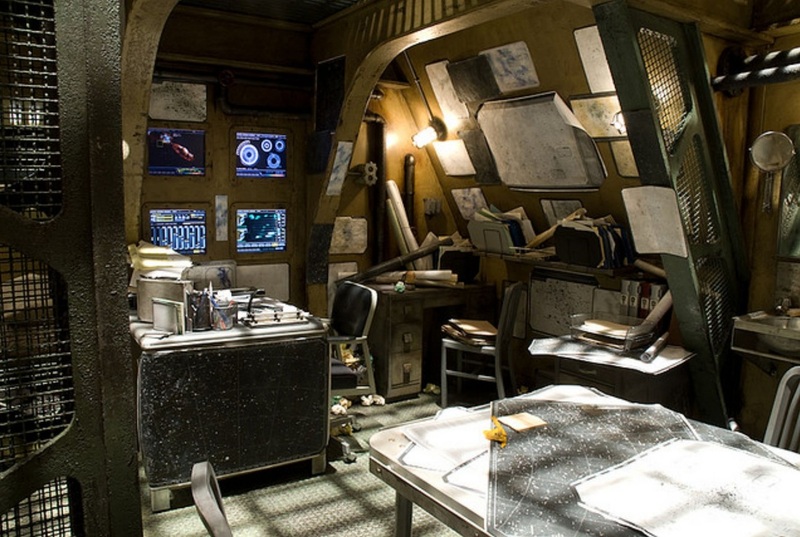 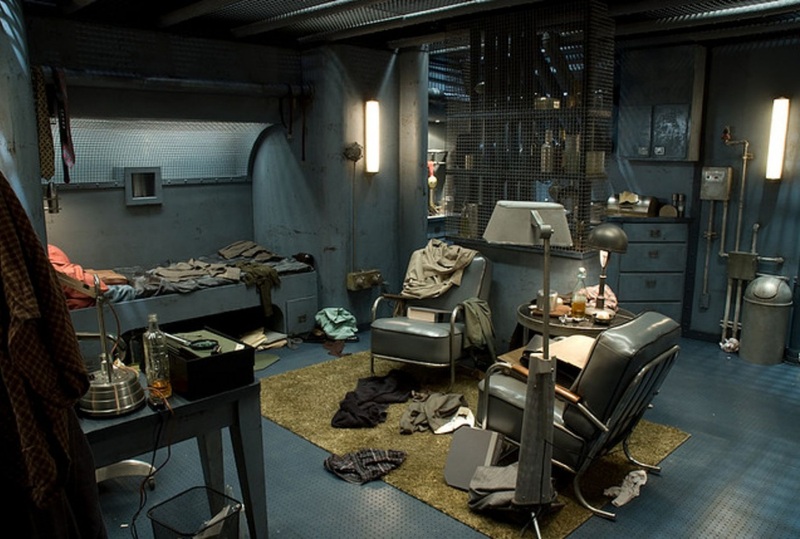 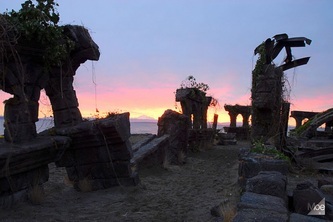 Looking at the photo of Romo Lampkin's quarters (lower left), the design immediately captures the frayed emotions of the character when we see him again in 'Sine Qua Non.' 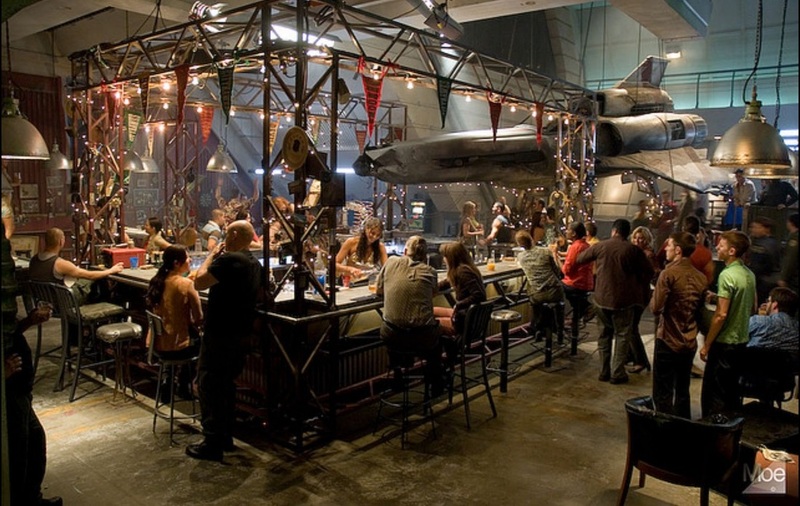 Note the amazing level of detail in these images that range from Joe's Bar to the galley on Pegasus. 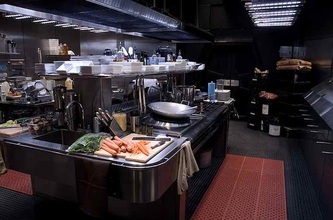 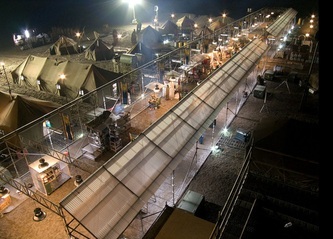 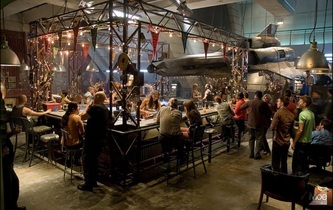 The Blackbird was a large project involving almost the entire set dec department. 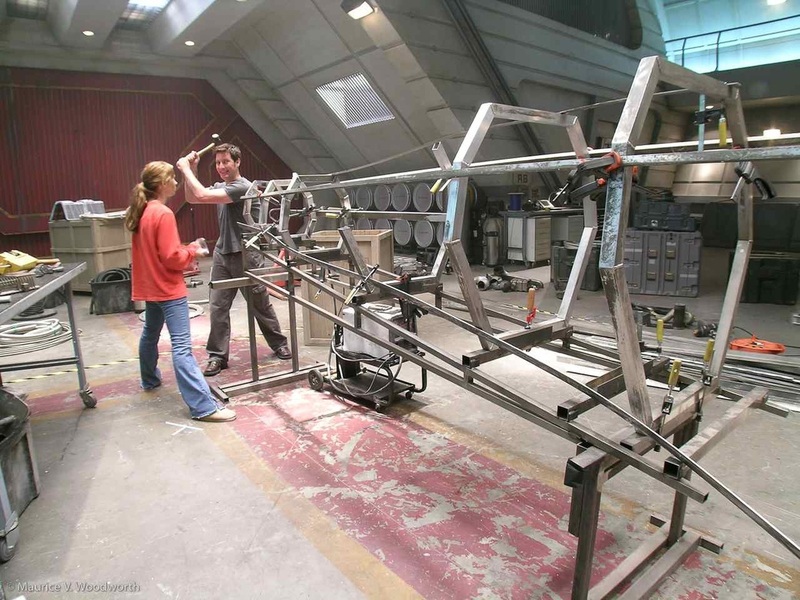 Made from all-square aluminum tubing, it was constructed in two stages. The first is visible in the first two images. 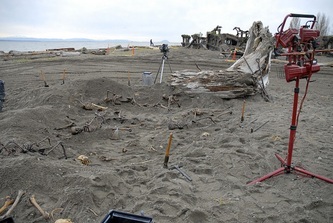 The basic frame (ribs) that the Chief worked on was put together by the construction department. 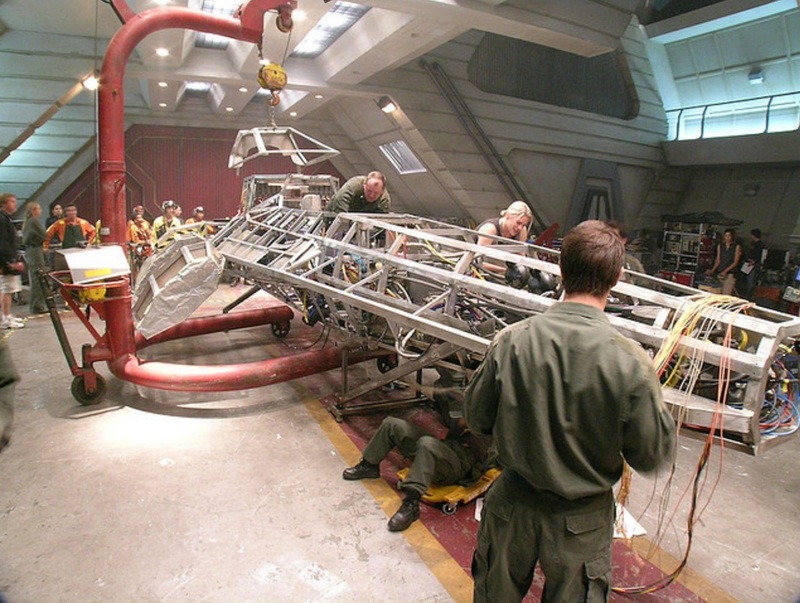 The full skeletal version is in the third image (built around a Mark II cockpit, Maurice recalls). 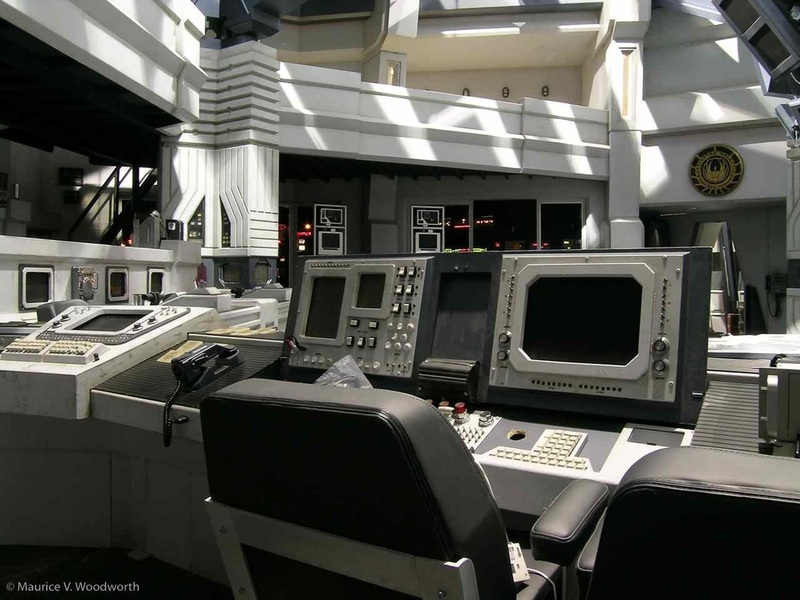 All of the wiring, cables, bits 'n bobs, panels, engines, etc., were done by set dec. 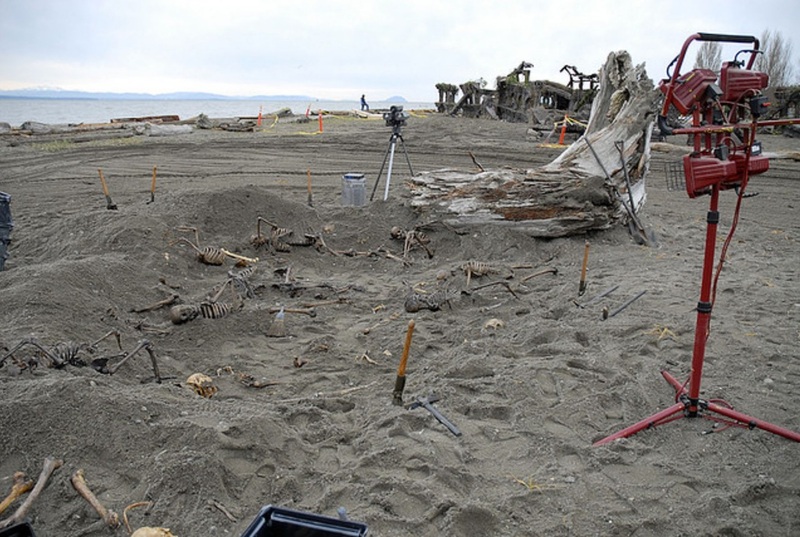 The last image shows the final, 'skinned' bird with the exterior panels added to the skeleton from the third image. 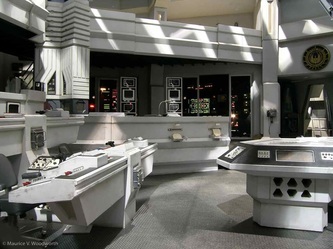 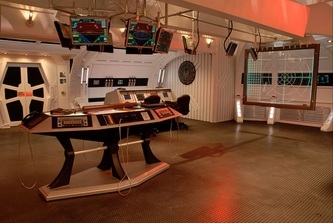 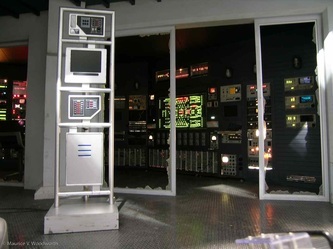 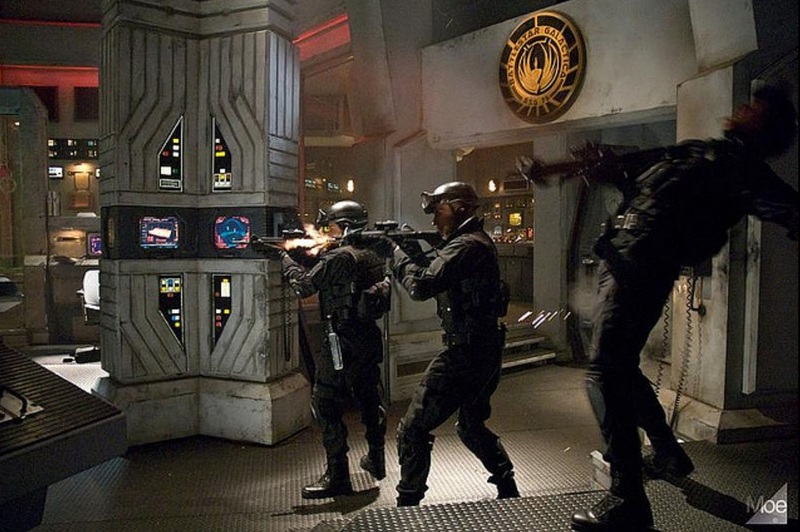 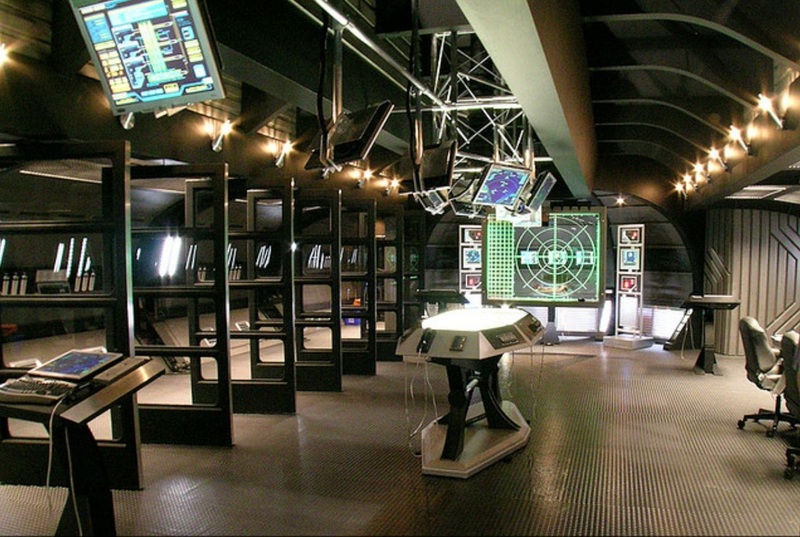 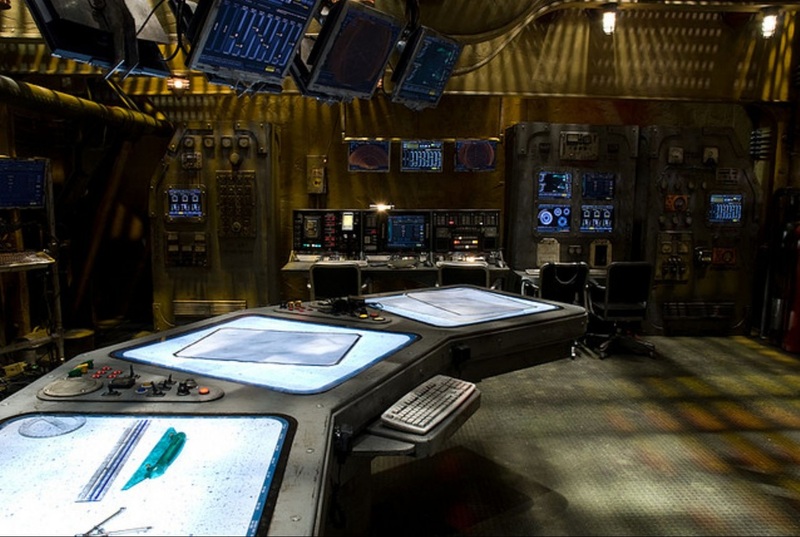 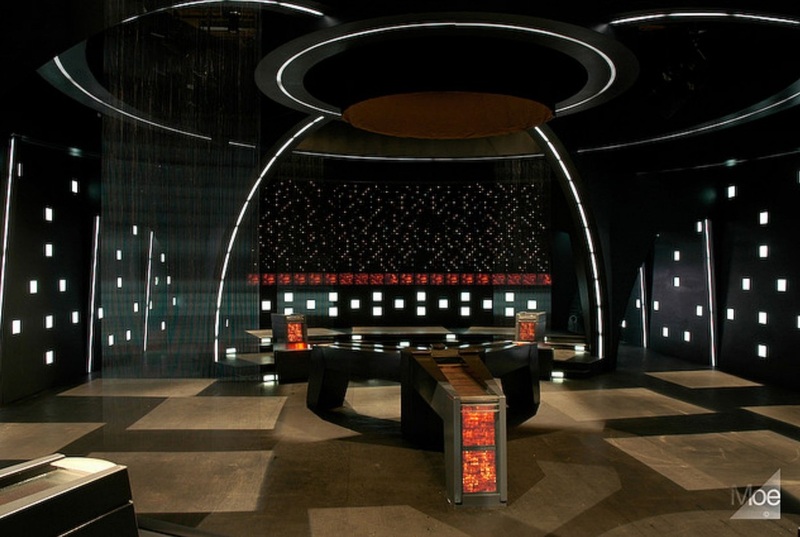 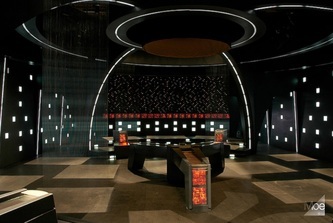 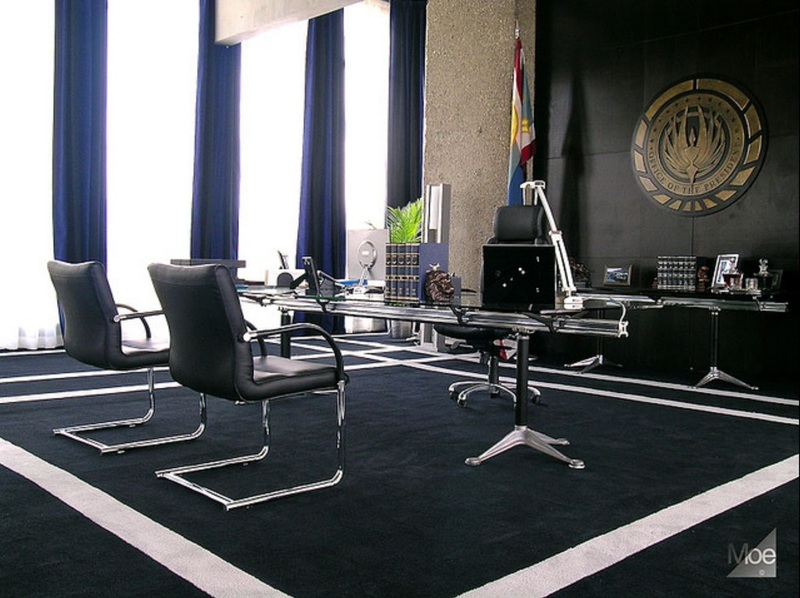 Much of the action in the series takes place in the command centres of various military, civilian and cylon ships. The images below depict the nerve centres of Galactica, Pegasus, Valkyrie, Demetrius and the Cylon Basestar. 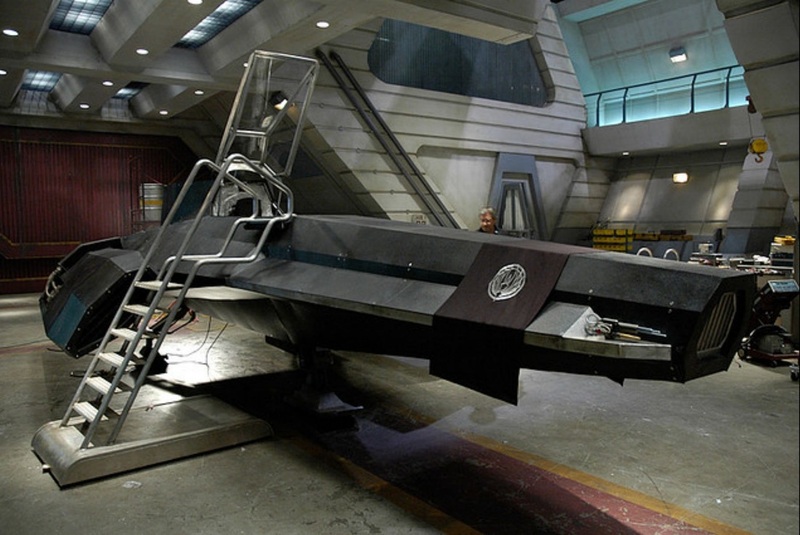 The first four are all within the same Fleet, with elements of design that both unite them and make them unique. 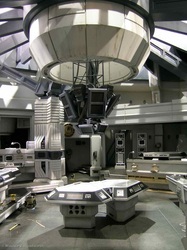 Galactica's CIC, below, still under construction before filming had even begun! 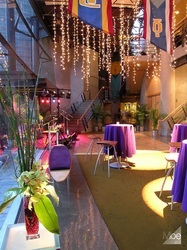 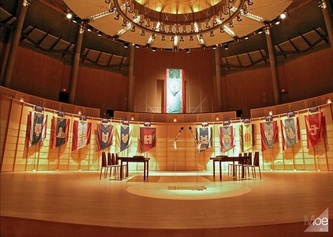 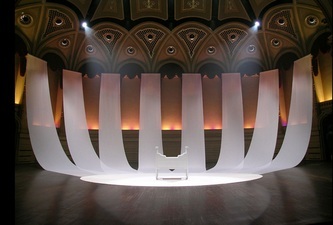 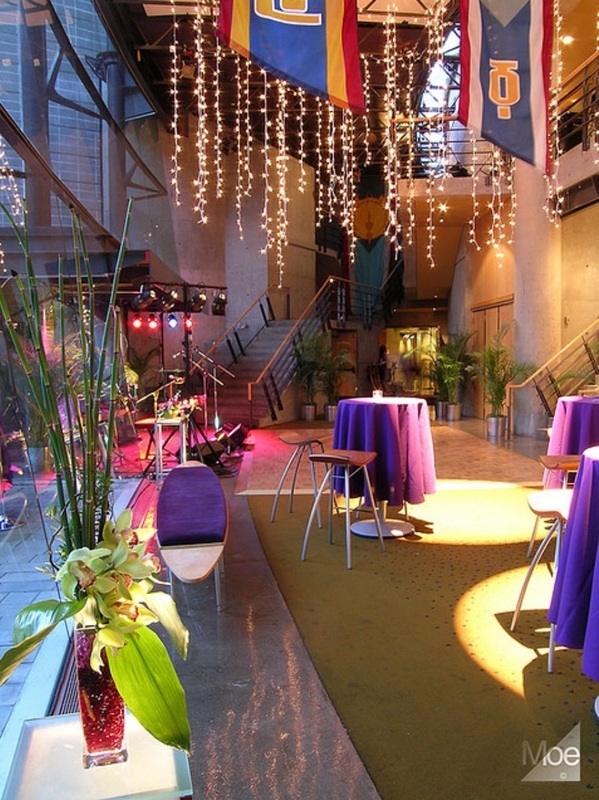 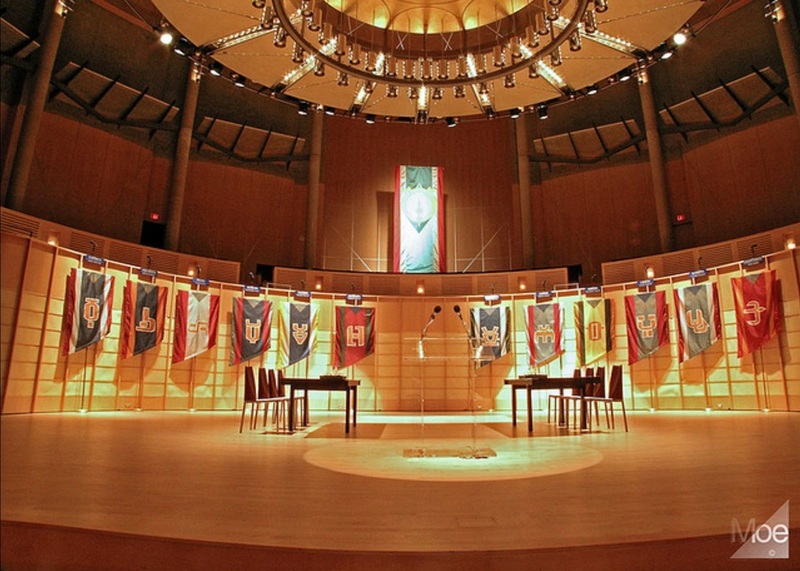 Set decoration is not limited to the stage. 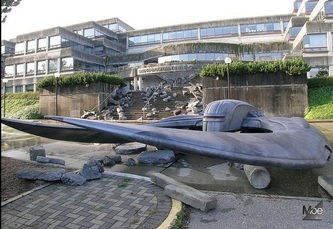 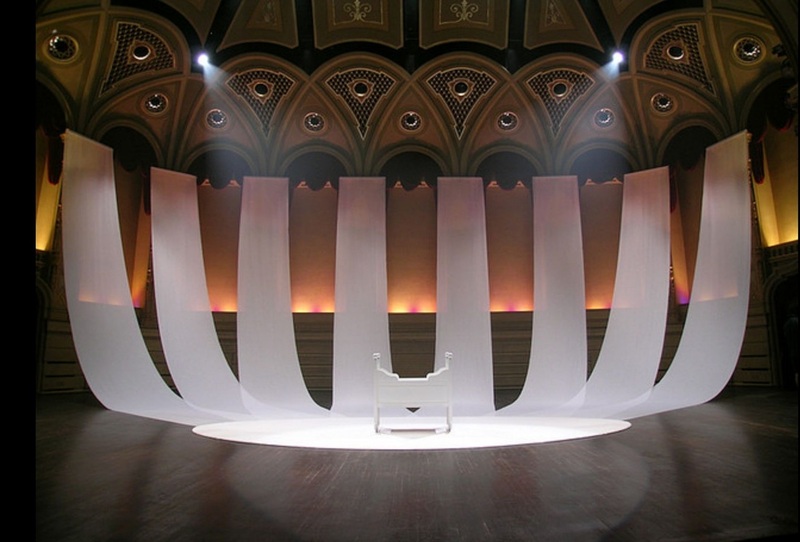 The photos below depict the transformation of many familiar locales, such as the West Mall Centre at Simon Fraser University and the Orpheum Theatre in downtown Vancouver, into distinct parts of the Battlestar Galactica universe.